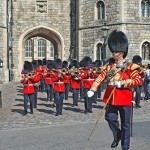 For over 1000 years the Windsor Castle is Home to the British Royal Family. It is the world’s oldest and largest castle that is still inhabited by royalty. Located in Berkshire, of the United Kingdom, the castle was initially a Saxon palace, built by William the Conqueror in 1070. Originally built in wood which took him sixteen years to complete, and King Henry I replaced its walls with stone. Over the centuries, the reigning British monarchs from King Henry I – King George VI, including the present reigning Monarch Queen Elizabeth II, have improved the conditions of the castle up to its current state. 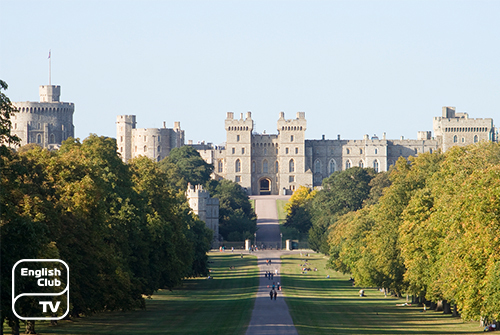 The biggest and most recent restoration in the Windsor Castle history took place following the ‘Windsor Castle Fire’ on the 20th of November 1992. 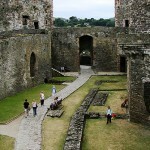 It cost up to thirty-seven million pounds to repair the damage caused to 20% of the castle buildings. During the Second World War, this castle was where the Royal Family resided, yet this fact was kept a secret for security reasons. Most assumed that they were at the Buckingham Palace. 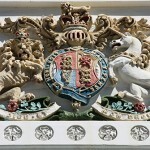 Even today, it is the official home of Queen Elisabeth II, the reigning monarch. The flying of her Royal Standard over the ‘Round Tower’ denotes her occupancy of the castle grounds. 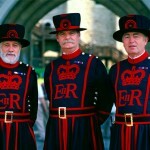 The Queen is generally in residence during ‘Easter’, from March to April, which is known as the Easter Court. Her Majesty also spends her special weekends at Windsor, occasionally hosting State ceremonies, and entertains visits from royalty and presidents from foreign countries. Dignitaries including politicians, Heads of Commonwealth countries, Ambassadors and High Commissioners are invited to a ‘dine and sleep’ by the Queen at ‘St. 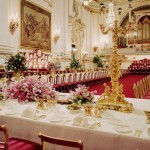 George’s Hall.’ Banquets organized at tables which stretch the length of the hall (55.5m) and seats around 160 people. The event includes a particular item displayed at the Royal Library and after spending the night, the guests can leave the following morning after breakfast. St George’s Chapel is well known for its Gothic architectural style and its outstanding stone fan vaulting. 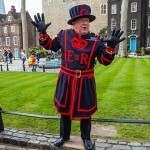 The Order of the Garter, which is the highest order of British chivalry was founded here in 1348 by ‘King Edward III’ and remains active up to date that includes the reigning Queen, The Prince of Wales and twenty-four Knights. The ‘Queen Mary’s Dolls’ House’ is another attraction at Windsor Castle. Created in 1920, it is the largest and most beautiful dolls’ house in the world. It is said to contain objects made by celebrated craftsmen, designers, and artists of that period.